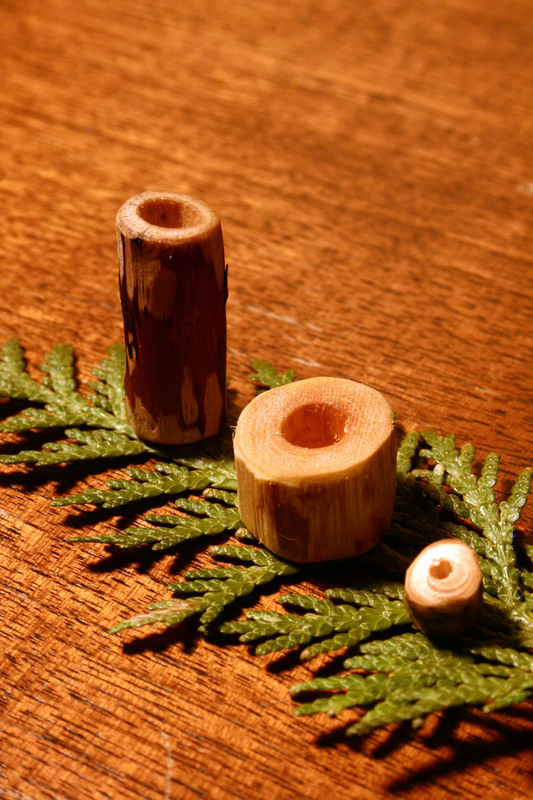 the holidays are the perfect time to get crafty and put together some hand made gifts to steer away from materialistic spending. 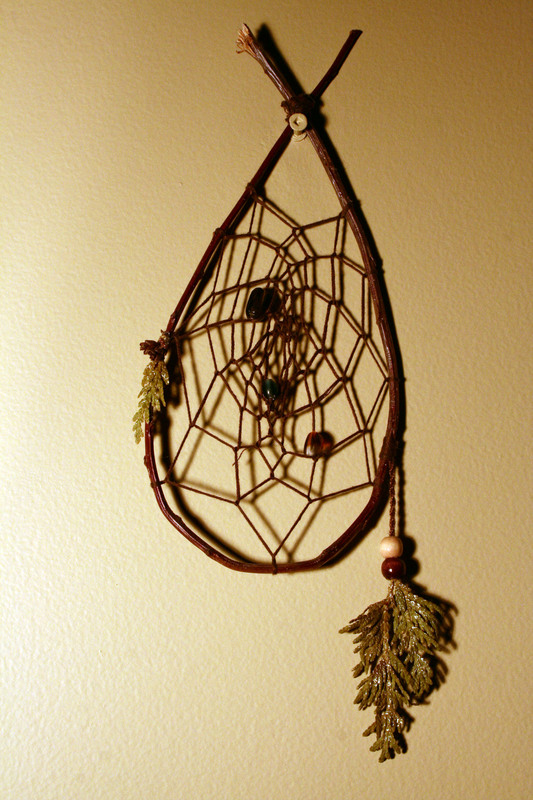 we just completed a dream catcher for a good friend who asked us to take on the project as a gift for her mother. 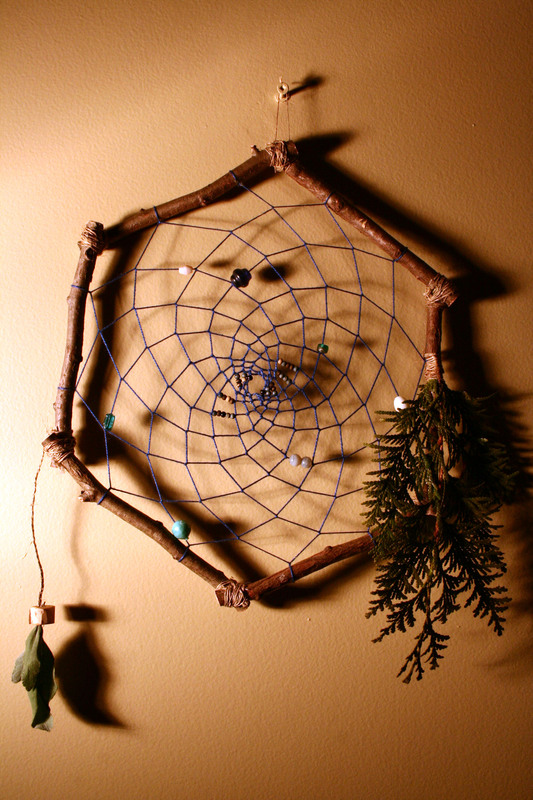 the frame is made from the cedar we collected earlier in october and the hanging white sage is from our own garden. the smaller one adam has hanging on his wall that was made last year around this time, dogwood works really well as a sturdy but bendable frame. 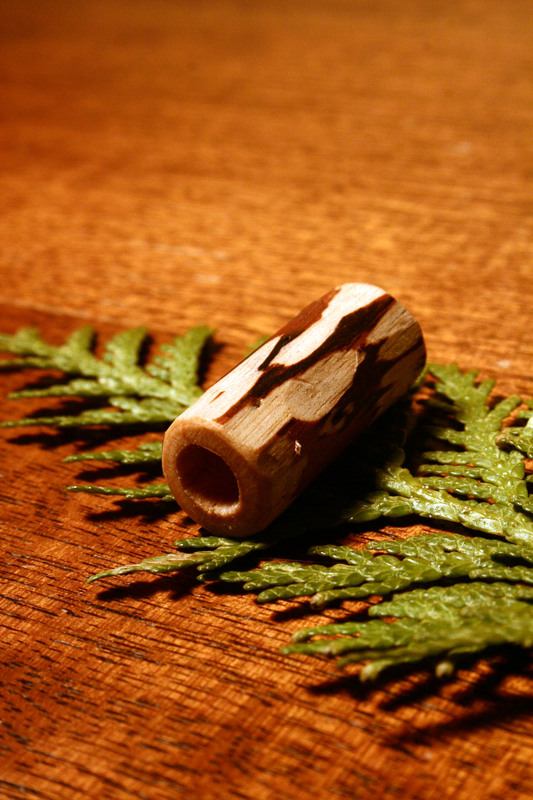 we have been making beads from hemlock, cedar, yellow birch, and white pine which we whittle into shape and drill hollow. To preserve them, we darken and age them with black tea using the tannins, and then once dry we seal them with a simple coconut oil ‘varnish’ just to waterproof the wood so they don’t dry out. we may paint them soon, but but really like the natural look at the moment. we also have a delicious raw-food recipe to share in our next post for ‘Raw Macaroon Balls’ so check it out as it will be posted very soon!